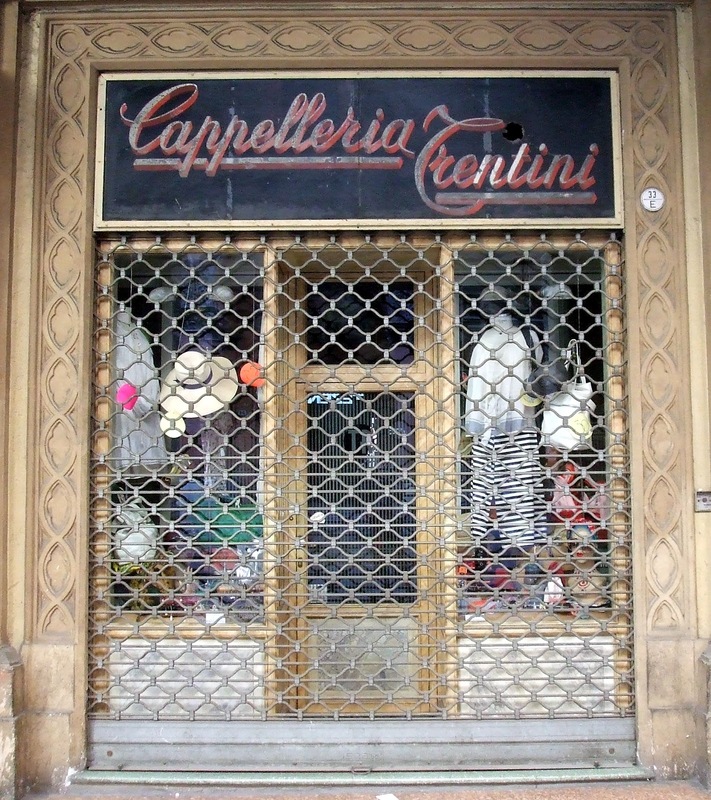 Veronesi e Figli, a jeweller in Bologna, has kept its old shop front and old sign. 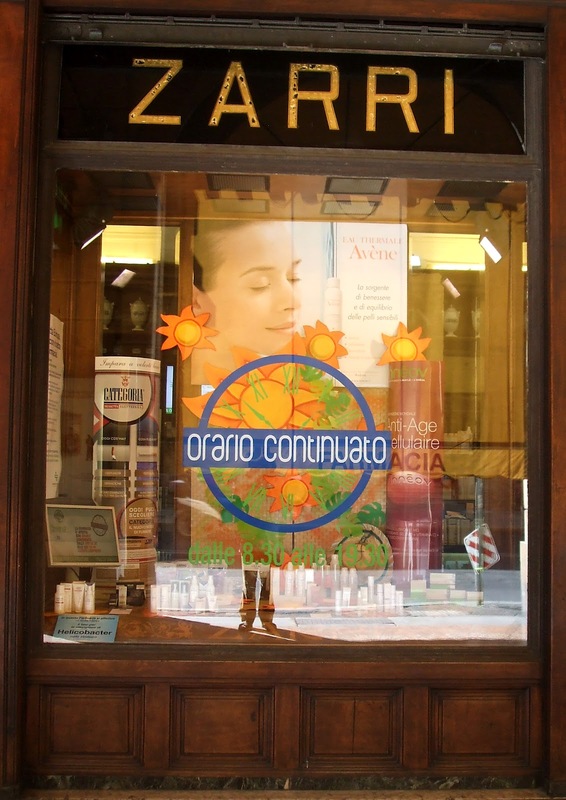 The sign has gilded lettering on a black background. 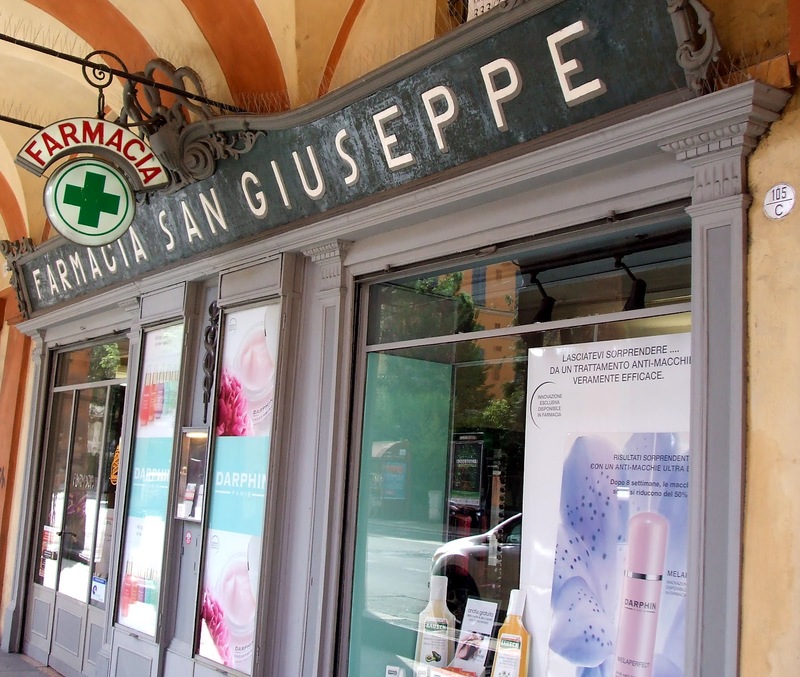 Such signs last a long time because the gilding and paint are behind the glass, but Veronesi, an upmarket firm, has kept the sign as part of its branding, not to economise. 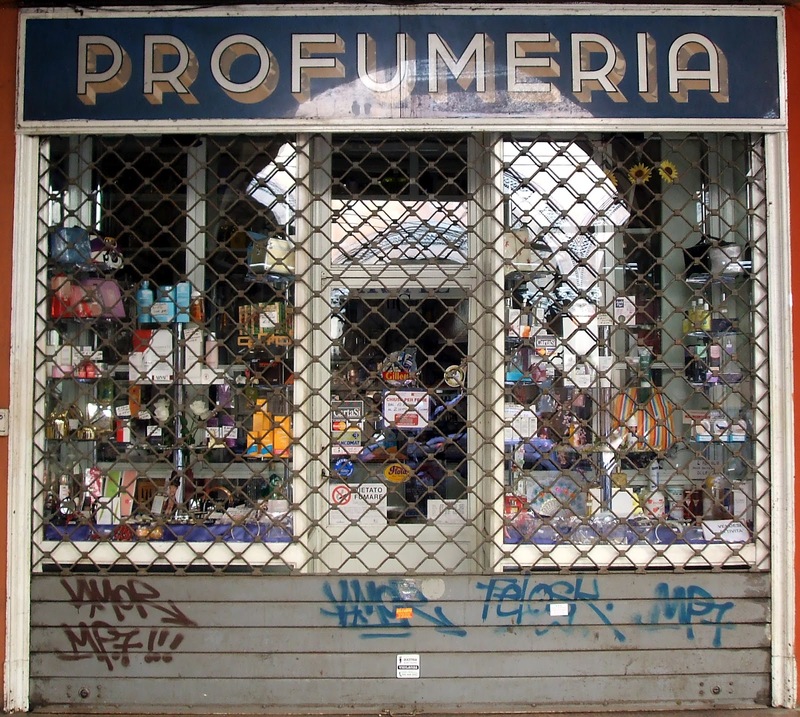 So have several other shops in the city. 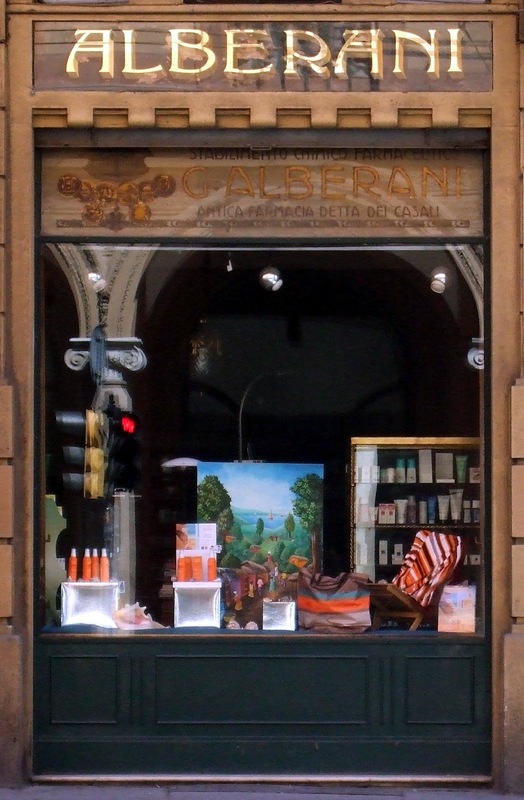 The tobacconists offering Sali e Tabacchi have kept their stained glass sign as a deliberate anachronism – sali is smelling salts. Some signs are loved so much they are kept after a 180 degree change of use. 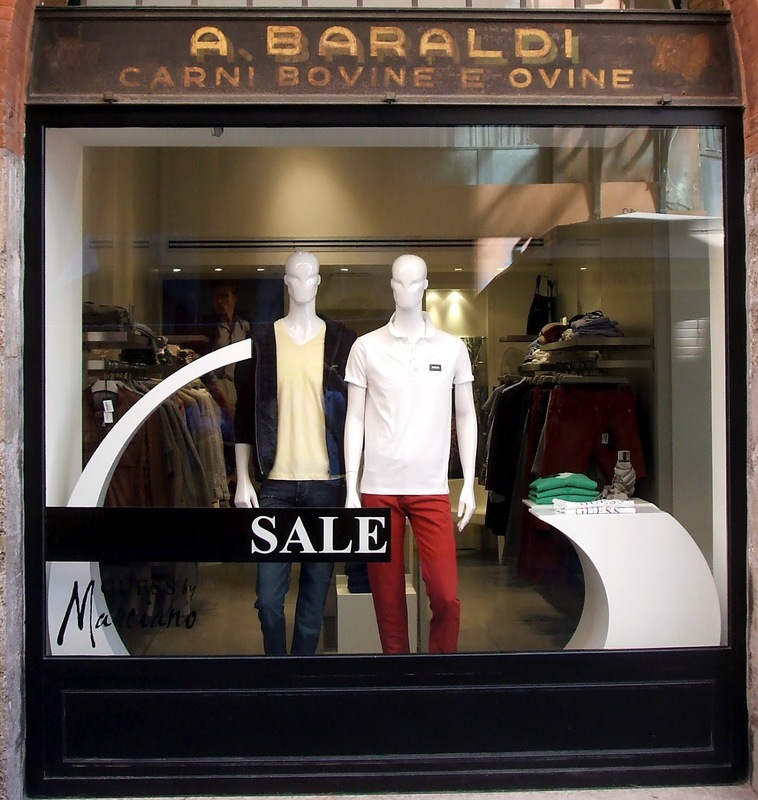 The menswear shop Marciano keeps Baraldi’s old painted sign above the window, though it’s a long time since beef and mutton were sold there. 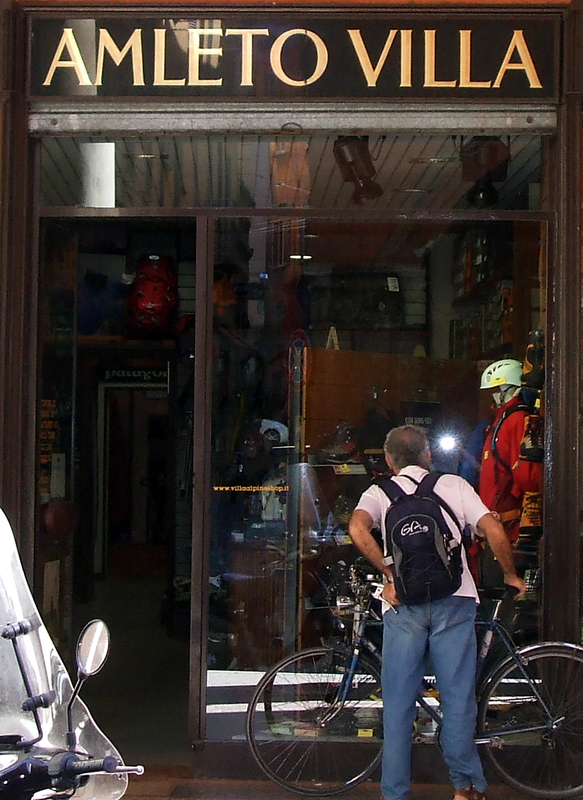 The wonderfully named Amleto Villa has been selling camping and climbing gear at the same shop since 1928 and the gilded sign may date from 1928 as well. 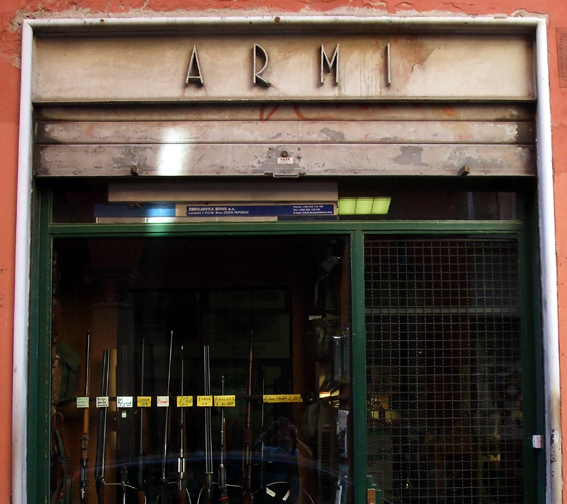 Armi (meaning weapons) uses an art deco letter on its fascia a bit like the 1929 Vogue typeface. The sign maker has spaced the lettering very nicely. 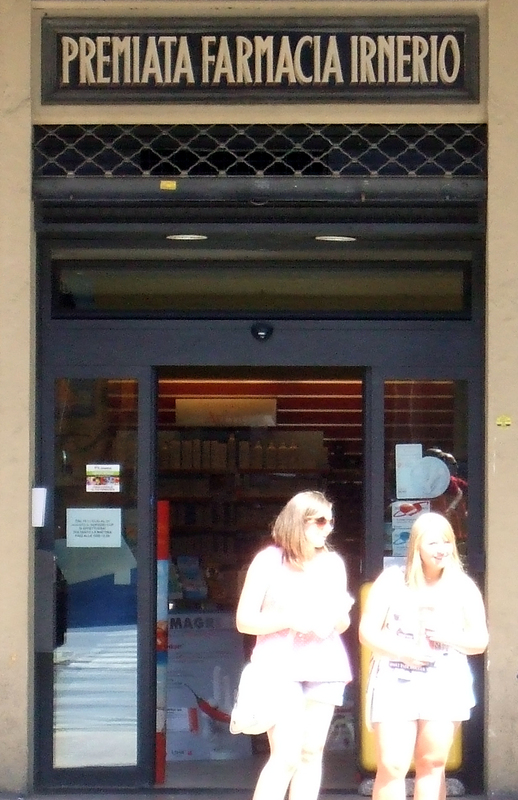 Odd to see a gun shop using lettering designed for Vogue magazine. 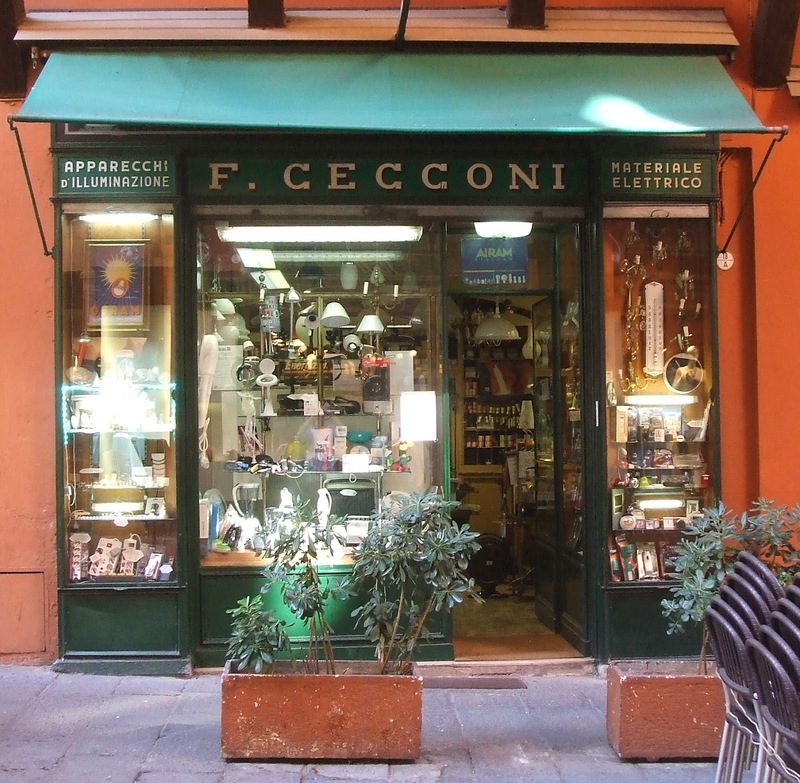 Like Armi, Cecconi seems to have left their sign and window display the same as it always was simply out of conservatism. Old electrical shops, paint shops and ironmongers in the heart of a city contrast with smart modern clothes shops, bars and offices. We still have some of them in London, obviously with freeholds or long leases and completely unbudgeable. 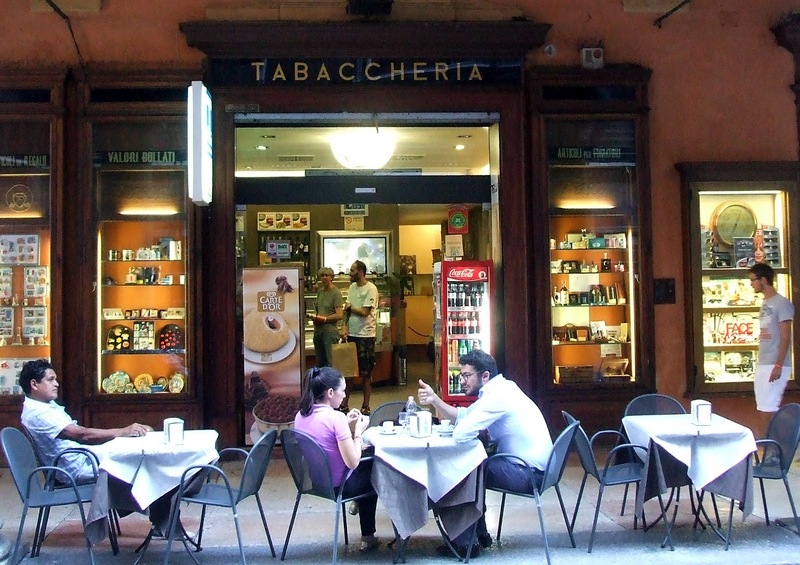 But Italy has a relationship with the past different from ours, maybe because they have so much of it. We either ruthlessly modernise it or wrap it in heritage cotton wool. 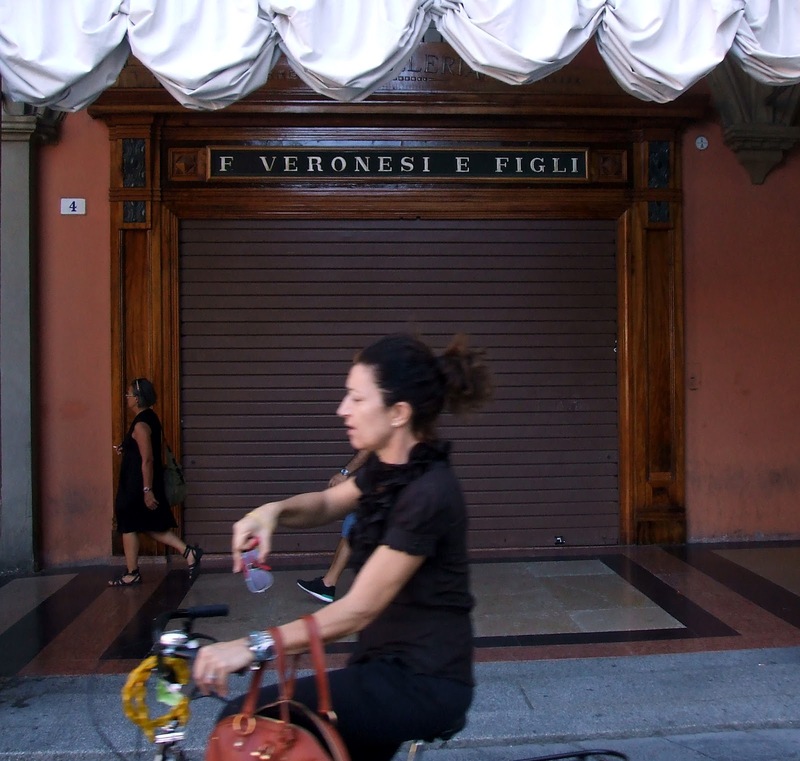 In Italy, the past and the present seem to live more comfortably side by side. 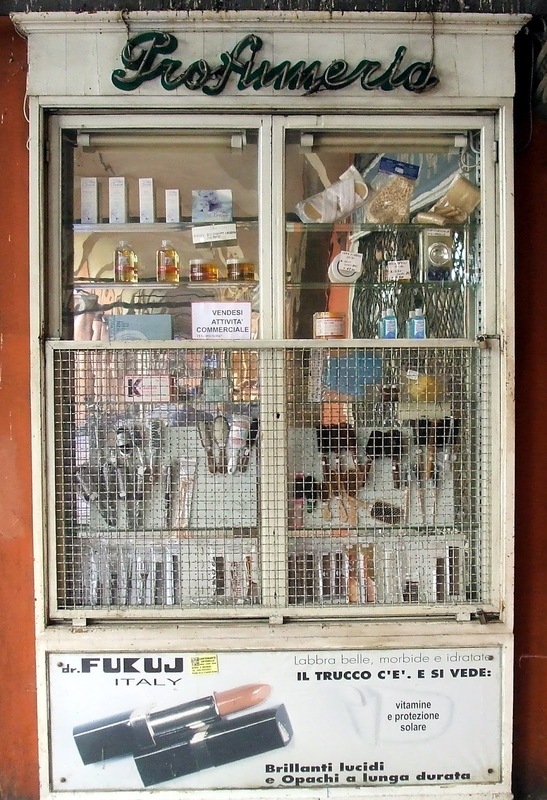 Inside a crumbling building, for example, you may find a very modern apartment (in Venice, Tintoretto’s house has been divided into flats and not hertitaged), and an up-to-date bar (bottom picture) can leave an old tobacconist’s sign unchanged.